One of the areas our San Diego remodeling clients like to spend a little extra time during the design phase of their bathroom remodeling projects is the shower fixture selection. From handheld showerheads with slide bars to steam outlets, body jets, acoustic speakers and other exciting features right down to the standard single outlet shower valve, the choices in the finish, style, and the manufacturer can be mind-boggling. For most custom bath remodels in San Diego, we find that there are some basics to consider, but with so many choices and combinations available, really the sky is the limit when designing the fixtures in your new master shower. Most custom showers that we are building in San Diego today contain at least a standard shower valve and wall mounted shower head. However, most people will also include a separate handheld shower head with a slide bar. A few of our bathroom remodeling projects actually have the slide bar and handheld shower mounted instead of a standard wall mounted shower head. 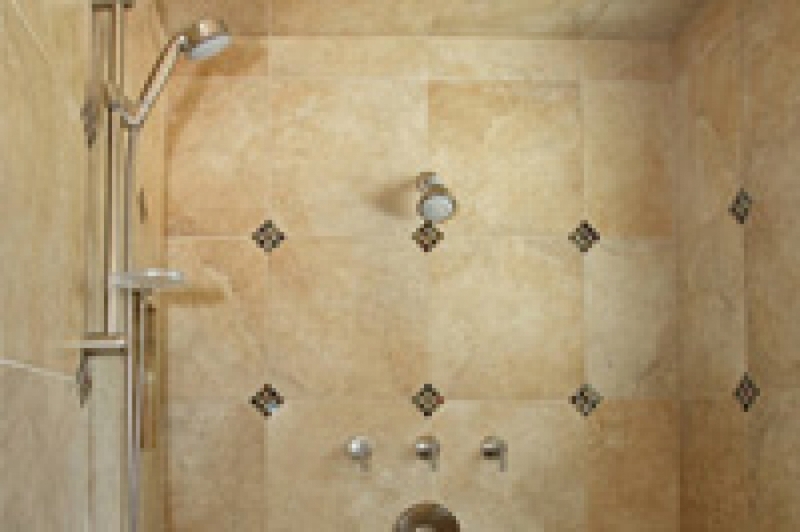 Body jets and steam units are also becoming increasingly popular in Bath remodeling projects in San Diego. Most of the better San Diego bathroom remodeling contractors will have designers or industry professionals that can help their clients wade through the myriad choices to help them come up with a cohesive, yet custom shower configuration that they will enjoy in the newly remodeled bathroom for years to come. We recommend finding a top design/build remodeling contractor in the San Diego area to help you through the twists and turns of making your new dram remodeling project come to reality. For award-winning design, execution, and service on your kitchen, bath, and entire house renovation, contact Sheen Fischer at (760) 738-6270 or email sheen@specialtyhomeimprovement.com. The Bathroom Remodel Shopping List Will A Remodel Contractor Come to My House?